In addition, the hand bouquets for my maid-of-honor and myself would be a mixture of paper flowers and non-paper flowers, inspired by the mix I posted about here. 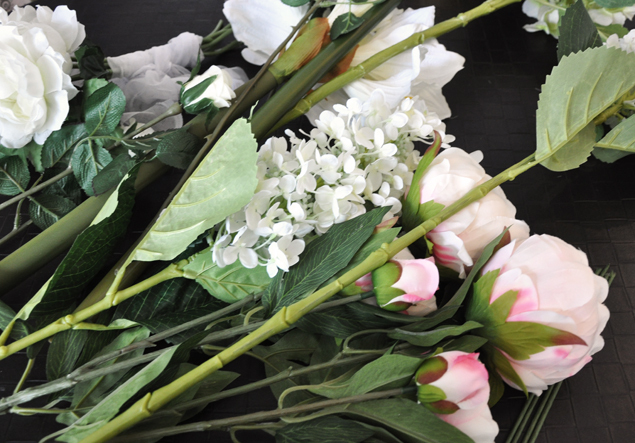 The entire bouquet was meant to be paper flowers until 1) I discovered how easily bashable they are and how rough I can get during our pre-wedding shoot, and 2) I realized I was running out of time and would rather spend more time on our home renovation. 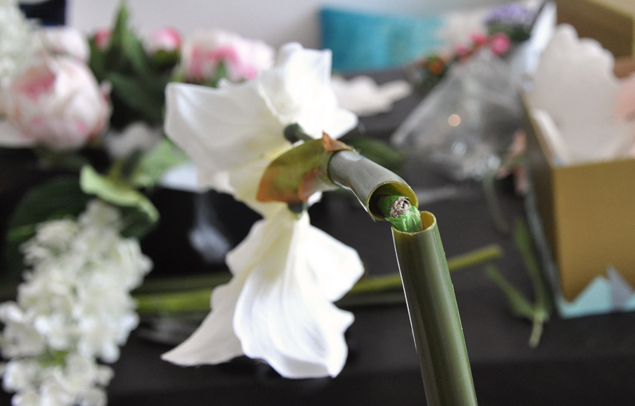 We also discovered that synthetic flowers are not as easy to cut as we thought! The trick is to use a pair of scissors to cut the plastic stem and to make a groove in the wire core. If you have a pair of wire cutters that’s great. If not, just keep bending it back and forth and eventually the wire will break. We wanted a simple set-up for the flowers for the signing table on stage, and Cherie found an old shoe box that worked perfectly. We had intended to wrap it in brown paper, but the shocking pink seems to be working really well! All we need to do is to cover the logo with some ribbon, but if the bright pink is too distracting maybe we’ll wrap it entirely. 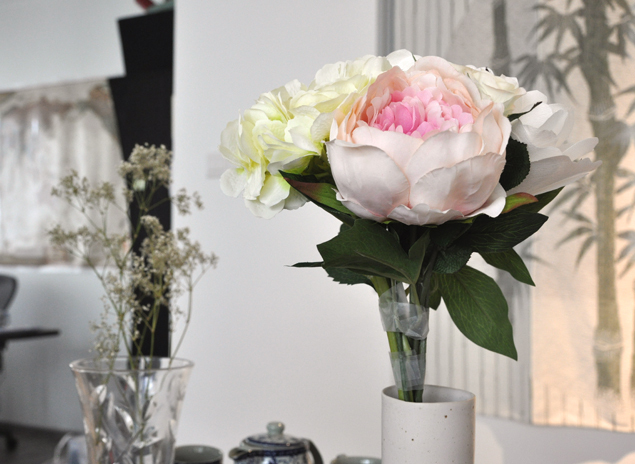 If I find more time, I may try replace more of the synthetic flowers with paper ones… The white flowers were made from coffee filter papers which I’ll try to put up a tutorial on soon. Had to run off to select sinks for our new bathrooms, so the work on the flowers will be continued at some other point in time. 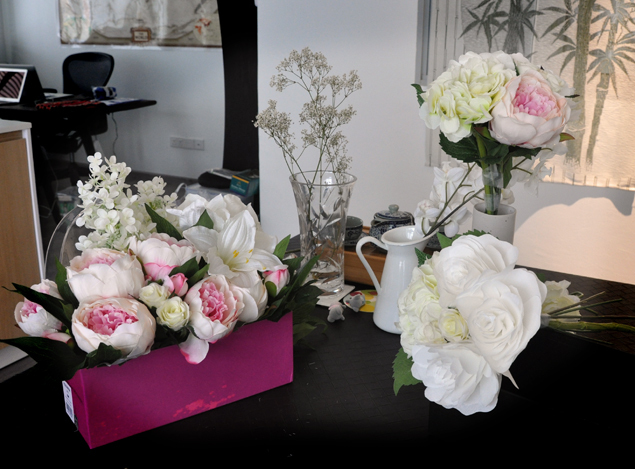 There are many way to pick flowers from the style, but style for wedding flowers is probably the most famous. There are many alternatives splendid plants which do not rely on your wedding occasion. Thanks for sharing that great idea…!! !